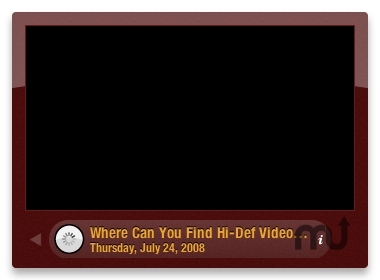 Widget lets you watch the latest video episodes of Chris Pirillo. Is there a better alternative to Chris Pirillo Podcast? Is Chris Pirillo Podcast really the best app in Cooking category? Will Chris Pirillo Podcast work good on macOS 10.13.4? Chris Pirillo Podcast is a Dashboard widget that lets you watch the latest episodes of the Chris Pirillo podcasts in there very own widget. Updates with the 10 most recent videos, allows you to watch the latest videos from the widget inside dashboard. Version 1.0.1: Added support for higher resolution (HD) videos. Chris Pirillo Podcast needs a rating. Be the first to rate this app and get the discussion started!